ACSR conductors are formed by several wires of aluminium and galvanized steel, stranded in concentric layers. The wire or wires which form the core, are made of galvanized steel and the external layer or layers, are of aluminium. Galvanized steel core consist normally of 1, 7 or 19 wires. 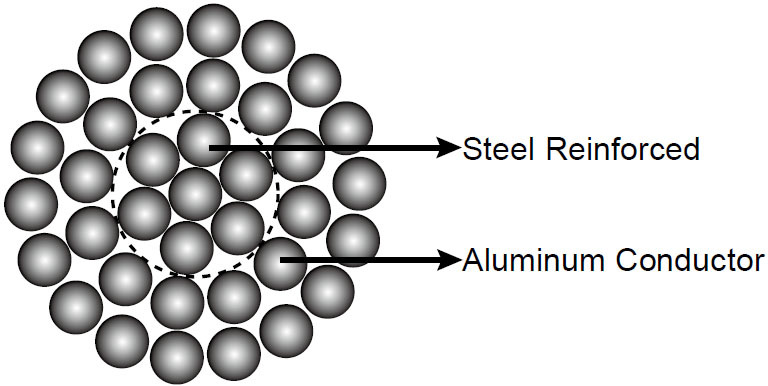 The diameters of steel and aluminium wires can be the same, or different.